Due to the weather change I decided I needed some new clothes, so today I share my OOTD with you. Something casual for a weekend, chilled evening with friends. But that is easy to dress up or down for most occasions. I walked into Next the other week and the model had this shirt on. It stood out to me. Something I would wear but is slightly different to all my other plaid shirts. It was the colour that made a difference. The lilac with the black and white stripe look really good together. I brought this because I can wear this to work but also at the weekends. I loved the colour and the fit is pretty good too. Today I pair this with a pair of new look jeans I have customised. I like these because of the light denim colour. I had been seeing a lot of embroidered jeans around and they have been for a while on trend. I wanted a pair. 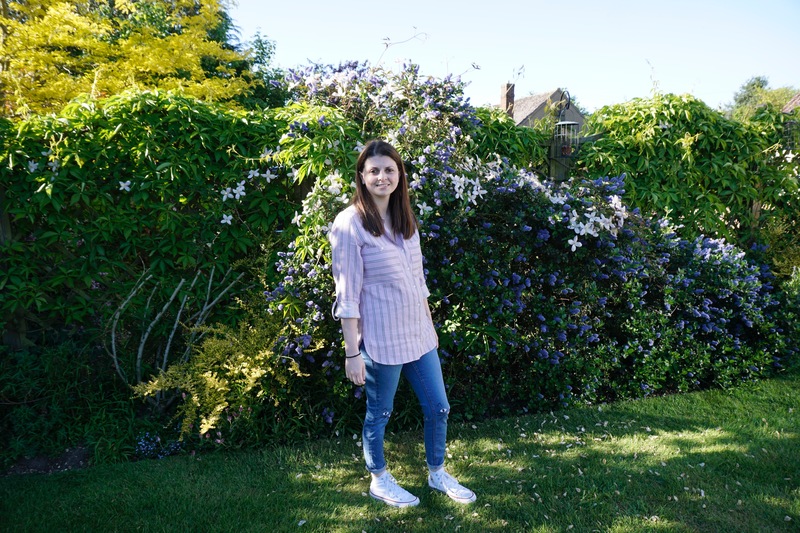 I am really fussy when it comes to jeans and I normally only wear skinny jeans, topshop joni jeans are my favourite. But for this project I needed a good light denim and cheap! I didn’t want to spend a lot on something I wasn’t sure I would wear because with a DIY I can’t be 100% sure I love them until they are finished and I know. If you want to know how to make this DIY please watch my youtube video. 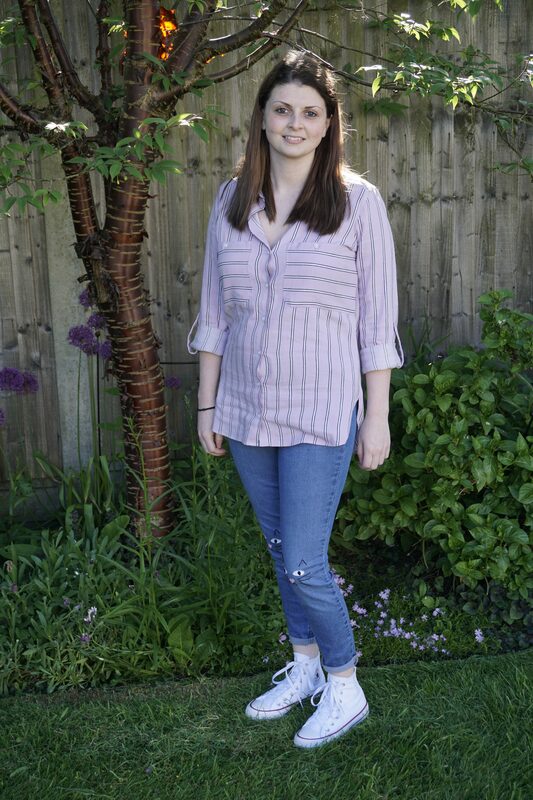 The embroidered knees add colour to the outfit and you can wear a basic tee in any colour or a blouse/shirt like I have. Something that is childish but cute. I actually love this DIY more so now than I did before I made them. 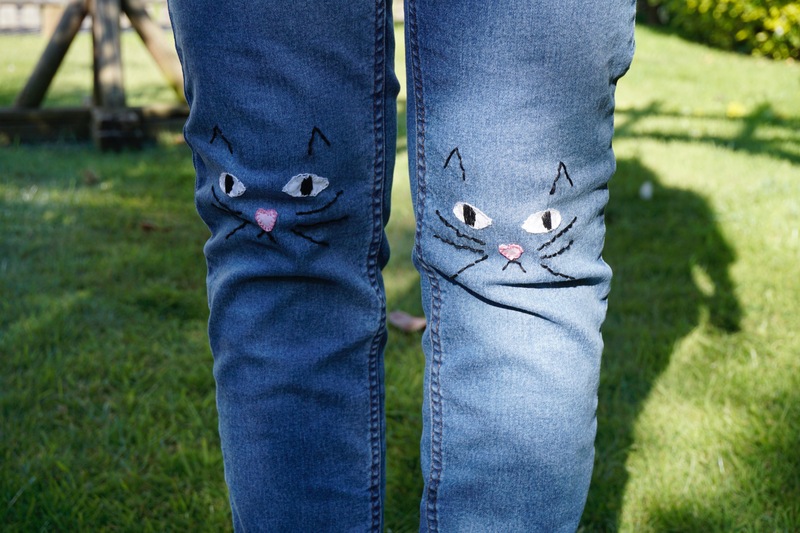 Obviously you can buy your jeans already embroidered but this just adds a personal touch, also some cute embroidered jeans aren’t always in the style you’d like. To finish this outfit off I have my high top converse in white. 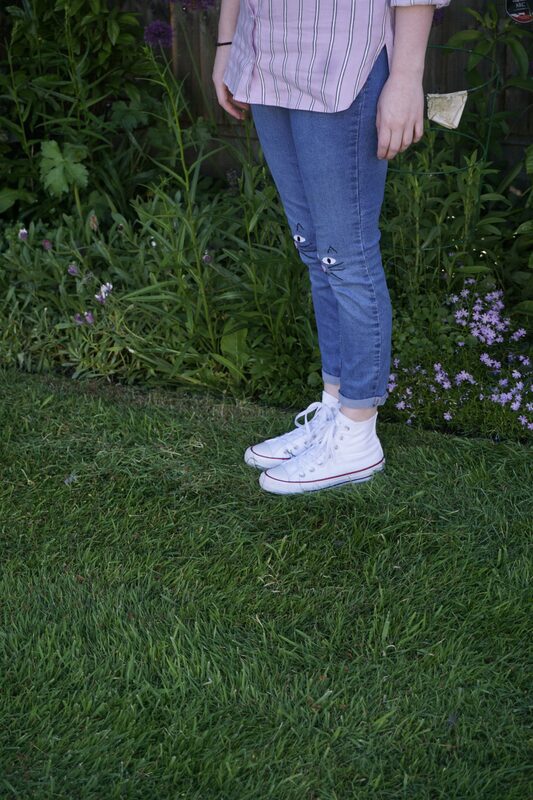 Again for a weekend outfit these are comfy and who doesn’t love a pair of converse? I feel you can actually wear converse with anything. They are impossible to stay clean though, they never stay white. So this is my outfit. What do you think? 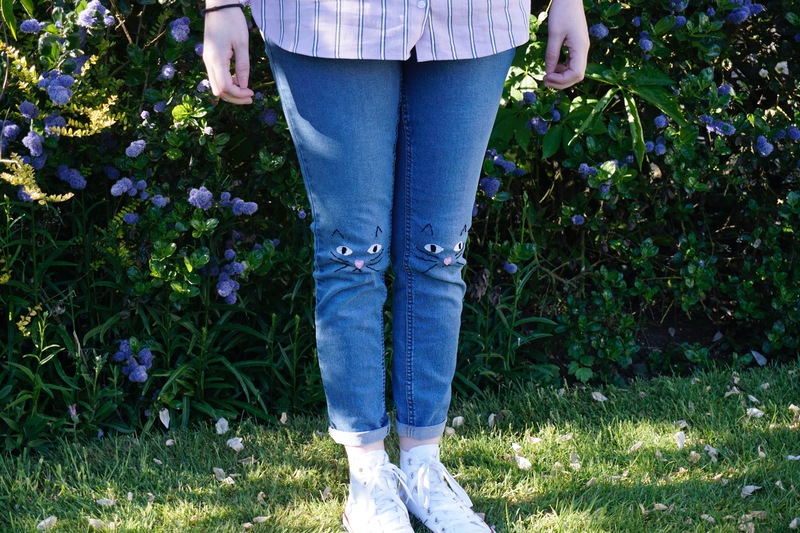 Do you like my jeans, and would you consider making your own?